The Boeing B-17G Flying Fortress was the first American all-metal heavy bomber. 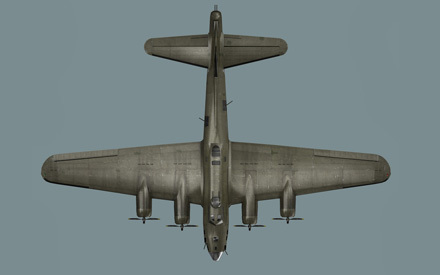 The plane was designed in 1934 in response to a design competition for a coastal anti-ship bomber. A year later the Boeing-299 prototype was built, equipped with four 750-HP Pratt & Whitney engines. It was first flown on June 28 of that year. Subsequent variants used the 1,200 HP Wright Cyclone engines. 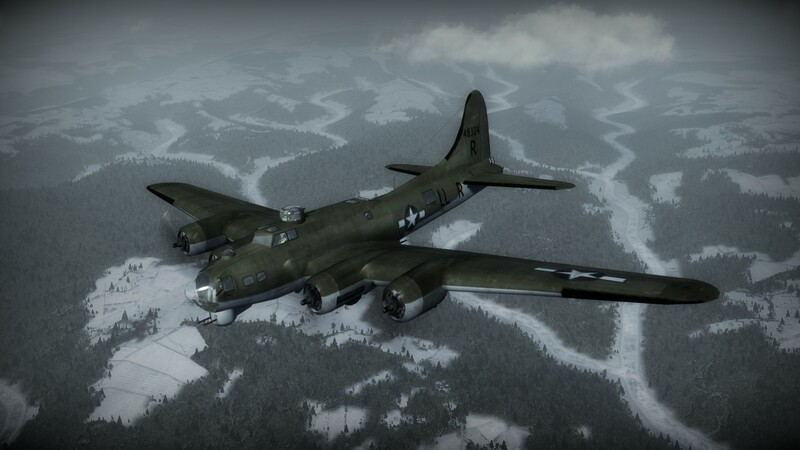 Boeing factories began mass producing B-17 Flying Fortresses for the US Army Air Corps exactly 12 months later. Throughout the production run, Boeing produced 6,981 B-17s of various variants and an additional 5,745 were built by Lockheed and Douglas giving a total of 12,726 aircraft. 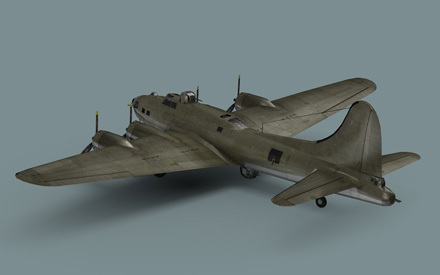 The B-17 quickly became legendary due to its ability to withstand battle damage and to bring hole-ridden aircraft home safely. Nine, and later twelve, Browning.50-cal machine guns offered formidable defensive fire coverage. 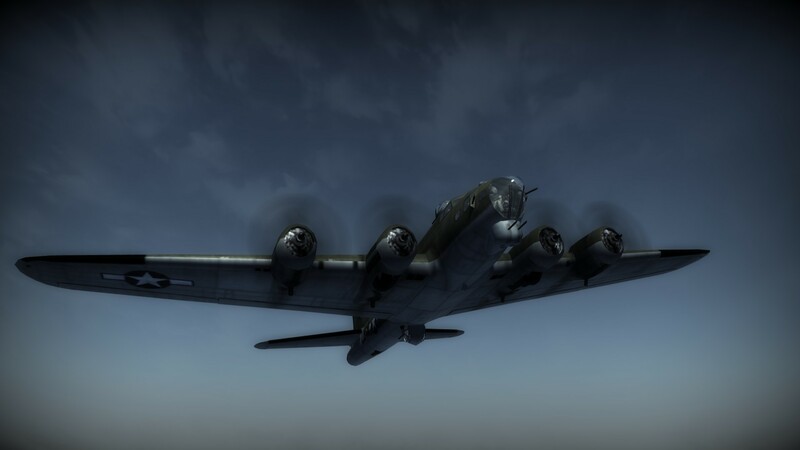 Nevertheless, the aircraft was not without its faults. For example, the tendency to catch fire was never overcome. Another weakness was the lack of protection against head-on attacks; out of 27 pieces of armour, none protected the crew from the front. 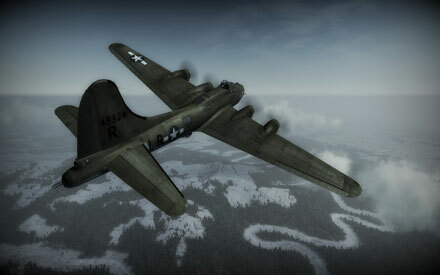 Firing a cannon or even a machine gun at the cockpit would find the crew completely unprotected. 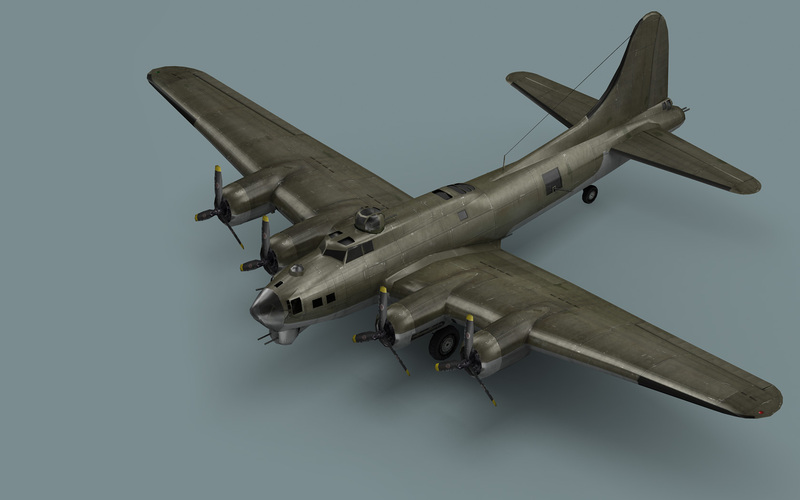 Another famous part of the B-17 was its highly advanced Norden bombsight, which allowed for effective bomb aiming even at high altitudes.